No action, no stakes, just starting up the big machine on going on my way. During the Steam Sale a few years ago I bought Train Simulator for a couple of pounds because why not? 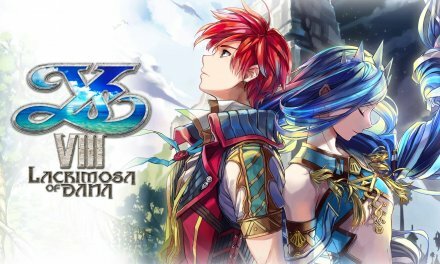 Bit of fun to kill some time, but I found myself playing it more and more really getting into it. Starting up the trains and doing everything precise to get the best score was really therapeutic. I’ve played a couple of simulation games with most falling under various flight sims, such as Microsoft’s own Flight Simulator and Laminars X-Plane simulator, mostly dabbling with military aircraft as I’m into that sort of thing. Flying an SR-71 Blackbird at 2,200 mph to driving a train from London to Reading is a real downgrade in terms of excitement, but for some reason these type of games draw me in. There are hundreds of these things about these days, from Demolition sim, to bus driving sim, and even a model train simulator (a simulation, of a simulation). It’s been a few years since I played any simulation games and most of them I played on my old PC which I have since sold. So when the chance to try Train Sim World on PS4 came about I thought it would be a bit of fun to go back to train driving for a bit. Proper simulation games are hard to come by on consoles these days. Some games let you drive / pilot vehicles such as GTA and other racing games, but none have the level of precision that the PC simulation games have. 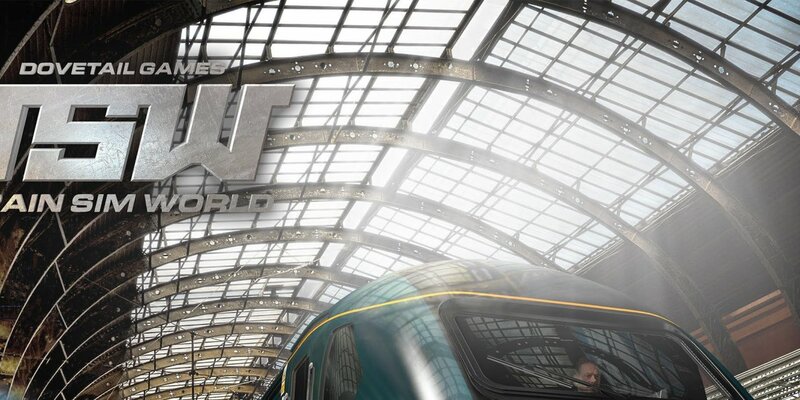 To my knowledge Train Sim World is the first proper simulation on consoles, at least for trains anyway, the reasoning probably being lack of demand, and lack of controls compared to a full keyboard and mouse. Train Sim World definitely takes a different approach from what I’ve played with other titles, making it more like a game and not a true simulator. You start out by making a profile and giving yourself an avatar, where it gives you a small choice of people who look like train drivers, and then you can select your scenario. The game comes with 3 initial areas to play – British Great Western, German rapid transit or New Yorks eastern corridor. Being British I wanted to see how they showed the trains I would possibly ride time to time, so I chose the British Great Western. the first thing I noticed was that unlike any other simulator I played this one had me start out on foot, as a person, and I had to get on board the train and sit down. This made it feel a bit more real and not like a robot connected to a seat like other simulators. Once seated you’re guided through the basic functions of how to get a train up and running and moving towards your destination. Each train handles mostly the same but with minor differences that make them unique. At any point you can get up and explore the train, adding to the idea that you are actually a person, not just a robot. I really liked this idea as some scenarios have you switching trains to carry on with your journey. 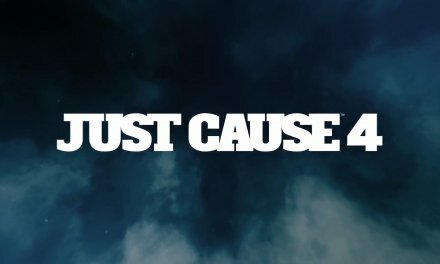 Controls have been handled to make them better for consoles. You press switches and levers by looking around and the shoulder buttons act as brakes / power depending on the train, as some have different throttle and break options. It works as it should and makes driving a train very simple as they do what they need to do. 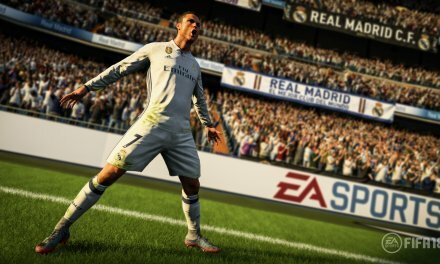 The problem is that it exposes a pretty big problem with the game. It’s a bit boring. As I said earlier, this isn’t like flying military aircraft, there’s a big difference between a pokey British train and an airborne war machine. The controls just really simplify what the game is, you stop and go several times until the scenario is over. Now there is more to do if you learn how, but using the analogue stick isn’t exactly efficient, and is actually a bit tedious. Train Sims on PC don’t have this problem due to the efficiency of a keyboard and mouse but the controller really dumbs down what trains sims are. I feel they’ve tried to make the entire train sim a bit more interesting with having an actual controllable human character, and as I said before I do like this idea, but the scenarios it put me in were just odd. One scenario told me a train driver was late and I needed to fill in his role for him. But the scenario starts you at a different station and you need to catch a train into London’s Paddington as a passenger, and then board the train when I got there. 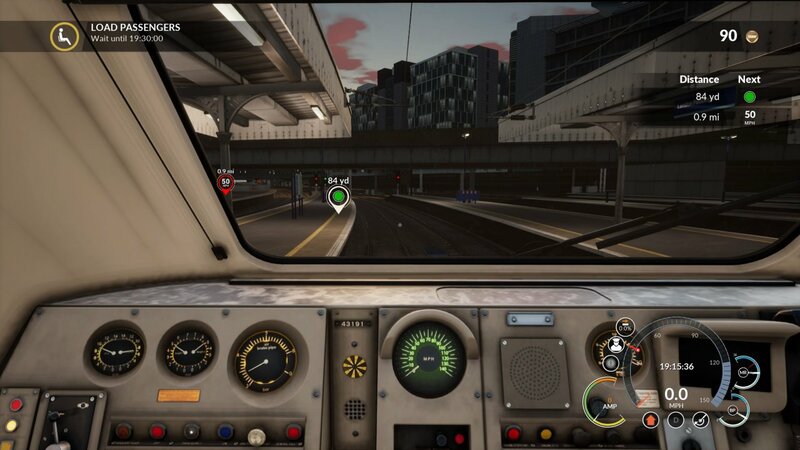 So I found myself waiting at a train station, then boarding it as a passenger and watched myself literally sitting on a train as a passenger for about 10 minutes or so while I rode into London. It was baffling to just ride a train in a simulation. It didn’t end there though. I boarded the train as its driver, waited until the correct departure time and left for Reading, 25 minutes later and we’re there. I was early by about 4 minutes but the game made me wait until the actual arrival time before letting me know I could leave the train. Not only this but when I could leave the train it had me leave the actual station. I understand all this is for the sake of realism and getting you into being a train driver, but it was just tedious and boring. Why not end the scenario when I got to the station? Why make me wait 4 more minutes? 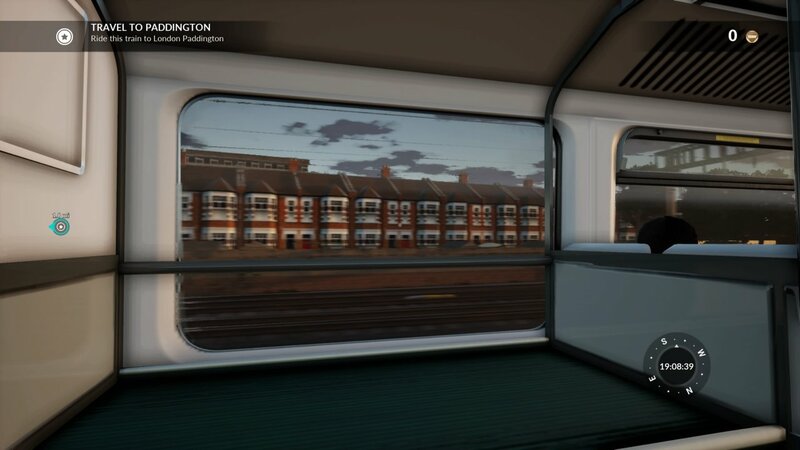 Why is there a virtual train journey as a passenger where nothing happens? And that’s sorta what the game is in a way, nothing really happens. Going from place to place is pretty enough and I bet there was a fair amount of work into designing the general countryside and cities you drive through, and the trains themselves are extremely well modeled and good looking, but the game itself can just get a bit boring. I know there’s still definitely a market for this, and all things said every now and then it’s pretty chill to load up a scenario and do some generic train simulation. 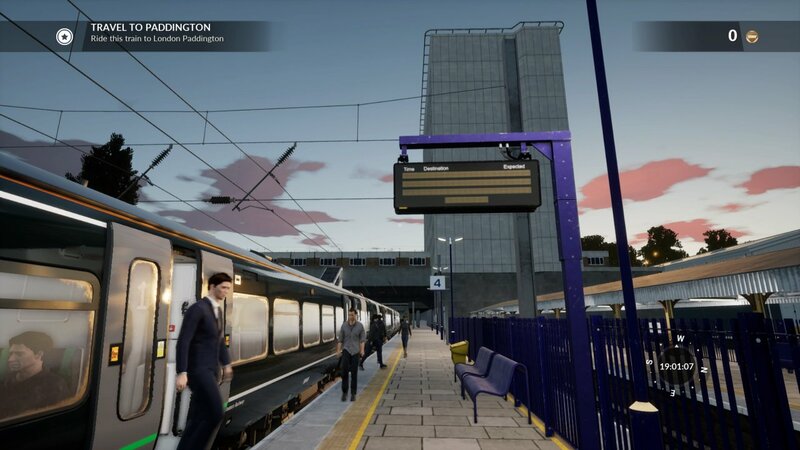 But here’s the real kicker for Train Sim World – There’s hardly any content at all. There’s only 3 ‘worlds’ with several scenarios in each, and that’s it. 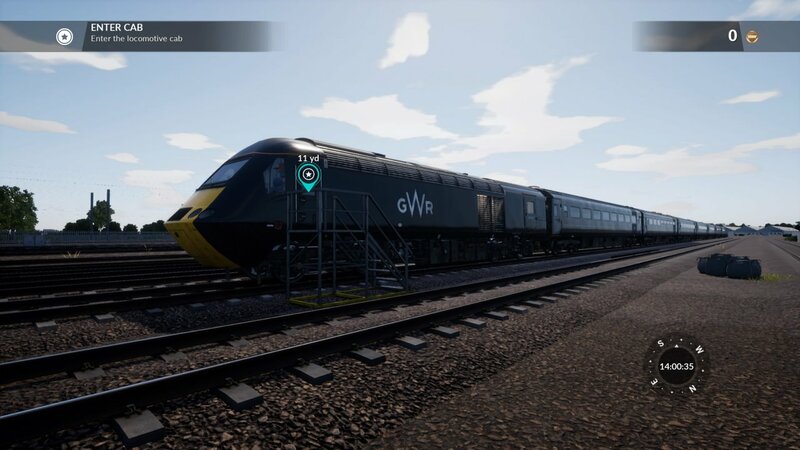 Dovetail have said that content will come over time but it’s a pretty hard sell over the big gun that is Train Simulator for the PC, which is a fraction of the cost, has way more content available, and although isn’t out on console, isn’t really a demanding game so would work on any decent computer. Train Sim World is meant to be the sequel to Train Simulator as both are made by Dovetail, but releasing a game with next to no content for a full price tag when the older game is cheaper, has more content and easier to run isn’t really helping Train Sim world get anywhere. Maybe in time Train Sim World will become the dominant game. 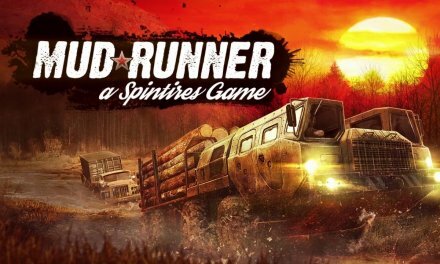 It has the potential for people who are really into their simulators but I cannot recommend it in the slightest for someone who just wants to mess around for a full price tag. Summary Train Sim World has a lot of potential if it had more to offer. The barebones content gives it no real reason to buy over its prequel, but could be in time. Even then, its only worth a buy if you're into trains and / or simulators as the game doesn't do much in terms of all out fun, instead goes for a realistic therapeutic approach to simulation and there's nothing wrong with that, but there's nothing there to really sell the game. Retro enthusiast, love my old technology, has a real charm that's lost with newer gadgets today, but I still enjoy taking a look at what's new in the technological world. Avid gamer, old school Nintendo / Sega fan but now stick with my PS4 these days and tend to stick to more adventure games, something you can really get invested in.